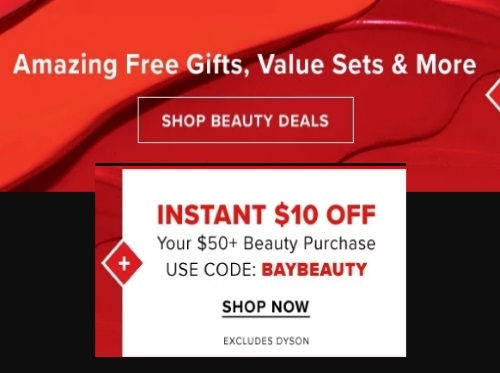 Hudson's Bay is offering $10 off instantly when you spend $50 or more on beauty products! Enter the promo code BAYBEAUTY at checkout. Offer available for a limited time. Offer excludes Dyson.